So, by day, the exquisite Bella Vista shimmers in the sunlight, floating on the water like a crystal palace. 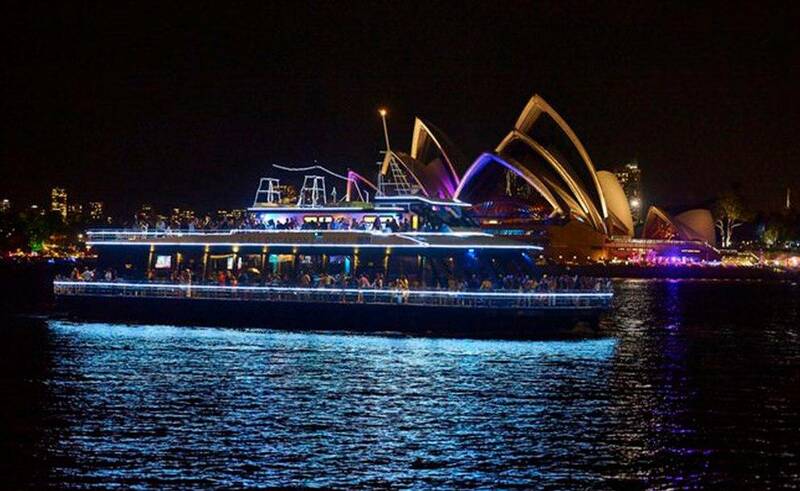 Lit up at night, she is breathtaking, glimmering on the harbour like a pearl. Her 3-metre high glass wrap around windows extend from floor to ceiling, treating passengers to truly unbeatable panoramic views of the Sydney skyline. Reminiscent of a grand hotel ballroom, the lofty ceilings and sumptuous appointments of her main entertaining area will bring glamour to your event and impress even the most discerning guest. 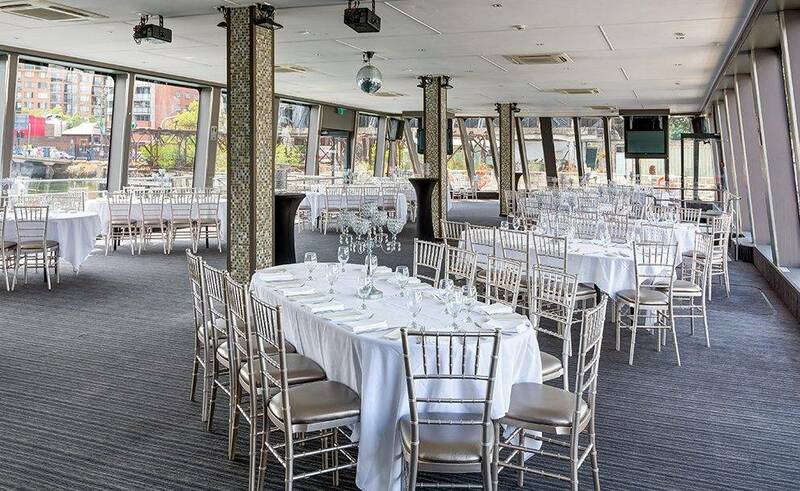 This amazing space accommodates up to 950 guests for a cocktail style function and 350 for a seated dinner. 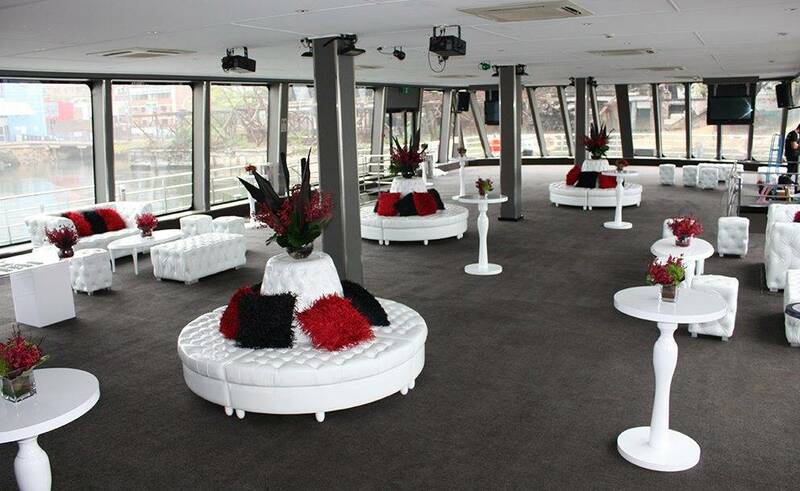 Making this venue ideal for corporate events such as charity fundraisers, fashion shows or product launches. Also, as well as larger private parties such as weddings. There is climate controlled air conditioning throughout the boat. Gourmet food and beverage catering is available for hire which can be adapted for a range of different occasions, with options for special diets. 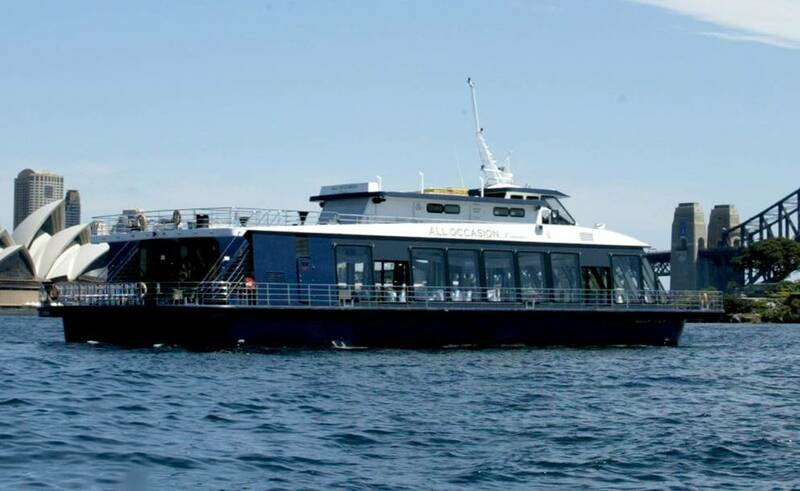 In addition, she has an expansive sky deck with its own licensed bar, wide wrap around decks. Plus a large deck to the front and back of the boat. This allows for movement around different levels. So that guests can mingle and socialize with ease. 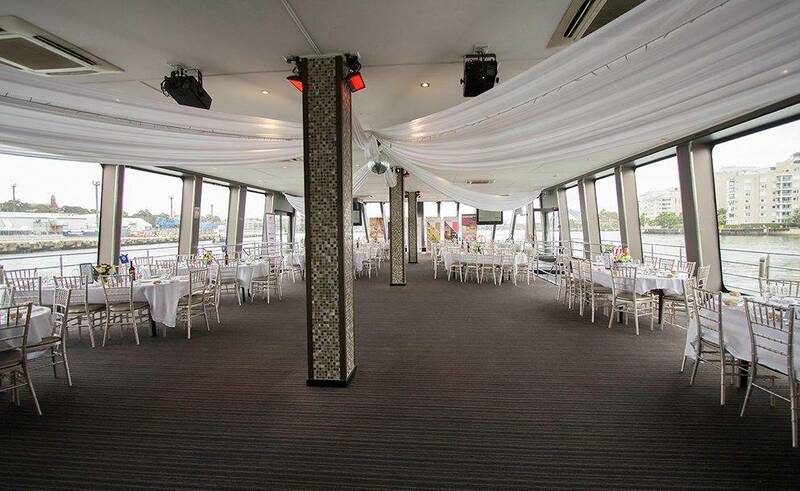 The Bella Vista has a dance floor complete with disco ball, a DJ booth, four adaptable feature walls. Also, a state of the art sound system with iPod connectivity and a microphone for speeches. She also has 4 high definition plasma screens, so all your entertainment and audiovisual needs will be met. With elegant and contemporary bathroom facilities to every level. She has been designed with practicality and comfort in mind. 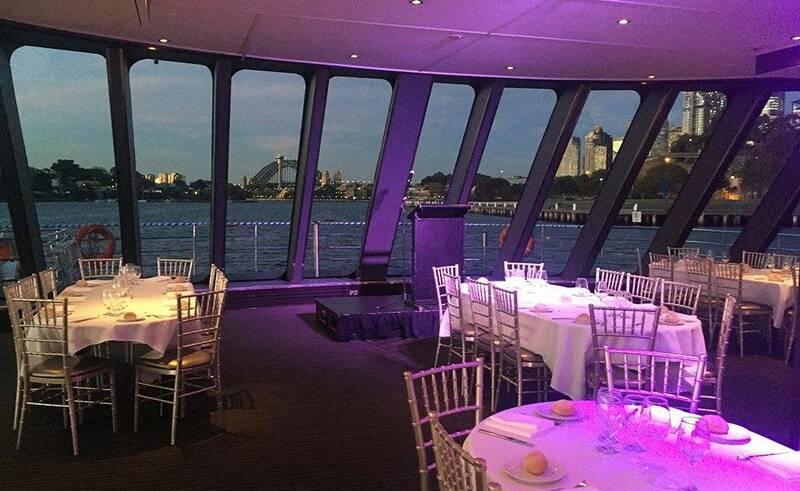 So, her name says it all – for a ‘beautiful view’ of the iconic landmarks of Sydney harbour. Look no further than the Bella Vista. She truly does have it all.